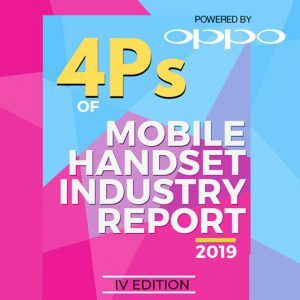 The 4Q’2017 for Mobile Handset Industry in India witnessed a historic high with 88 million units shipped.The year saw alarm bells ringing for handset brands, including HTC, Asus, Intex and Gionee. 2017 witnessed the emergence of new promising breed of handset brands, including COMIO, NUU Mobile and 10.or (Tenor). 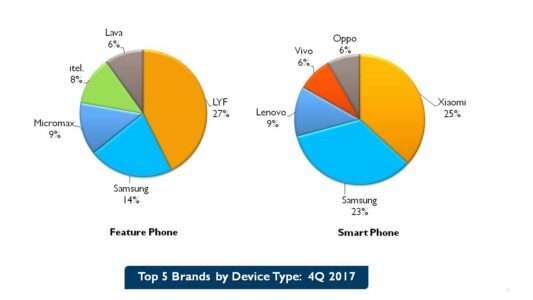 Samsung remained the leader for 2017 with 21% market share, followed by iTel, and Xiaomi with 9% market share each. 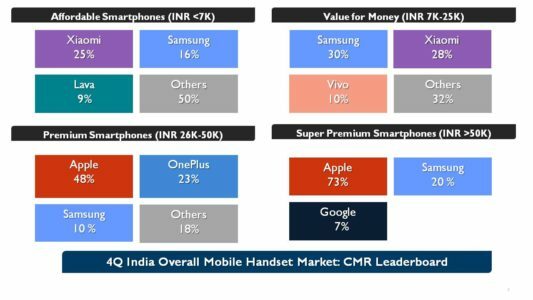 New Delhi/Gurugram, 12 February 2018: According to CMR’s India Monthly Mobile Handset Market Review Report released today, mobile handset vendors shipped 88 million mobile handset units in 4Q 2017. For the entire year, mobile handset vendors have shipped around 287 million mobile handset units in India. The smartphone market recorded a 19% sequential decline in 4Q 2017, with 30 million units shipped. 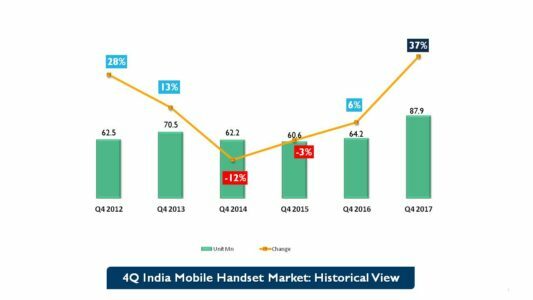 The featurephone market, on the other hand, witnessed a 36% sequential growth in 4Q 2017, and YoY growth of 62%. 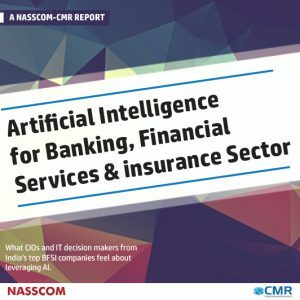 “2018 will continue to witness growth of entry-level smartphones which will largely cater to first time smartphone buyers. 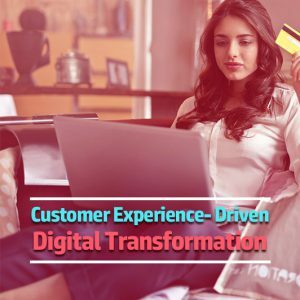 Aggressive, pre-paid 4G entry level plans launched by telcos in 1Q 2018 will further accelerate the adoption of 4G,” added Narinder. 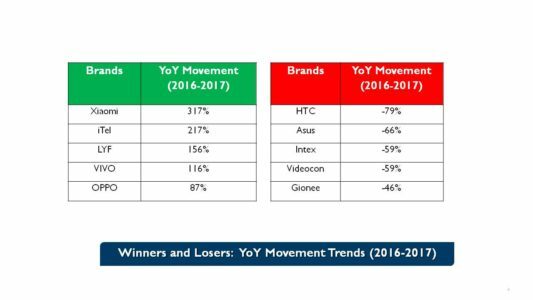 In feature phones, LYF scaled a new high, emerging as the market leader with 27% market share, followed by Samsung with 14% market share. 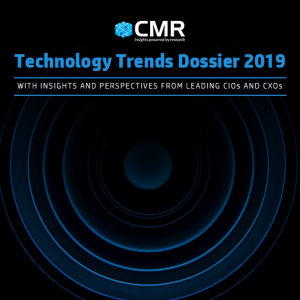 YoY Market Movement Trends – Winners and Losers: According to CMR Mobile Handset Report, major Chinese brands saw exceedingly healthy year-on-year growth. On the other hand, some pioneering brands saw their growth decline. For them, 2018 will be a challenging year. Continued growth of 4G Handset Market: In 4Q 2017, overall 4G handset market grew by 19%. 4G smartphones declined by 17%, while 4G feature phones grew 546%. 2G feature phones grew by 5%. 3G smartphones declined by 71% on a small base. Trends in Screen Size: In smartphones, the 5 inch and 5.5 inch screen size together had a market share of 71%. Dual cameras gain momentum: The market for dual cameras grew by 48% in 4Q 2017. Back dual cameras had a 60% growth quarter on quarter. Trends in OS: In 4Q 2017, Nougat 7.0 became the leading contributor with 36% market share, replacing 6.0 Marshmallow. For Apple, iOS 11 became leading contributor with 45% market share.